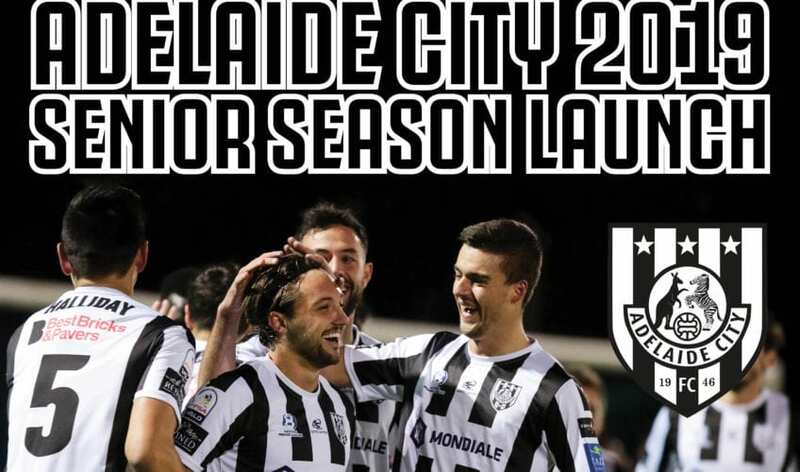 You are invited to the 2019 Adelaide City FC Senior Season Launch at the Arkaba Hotel on the evening of Wednesday 6 February 2019. This special event will provide the first official occasion to meet our new players, catch up with those returning and meet our two new senior coaches, Michael Matricciani and Andrew Calderbank! The evening offers a welcoming atmosphere to meet and chat with players like Marcos Flores, Evan Kostopoulos, Nic Bucco, Daniela Di Bartolo and Alicia Nicolas! It is also a great chance to connect with our supportive business community and hear from the Club’s coaches as we look ahead to a successful Season 2019!